The Knox County Commission have established an emergency warning system in order to help ensure that Knox County residents are alerted to public safety emergencies in our community. The warning system, powered by Everbridge is capable of sending alerts via SMS text, email or voice call. 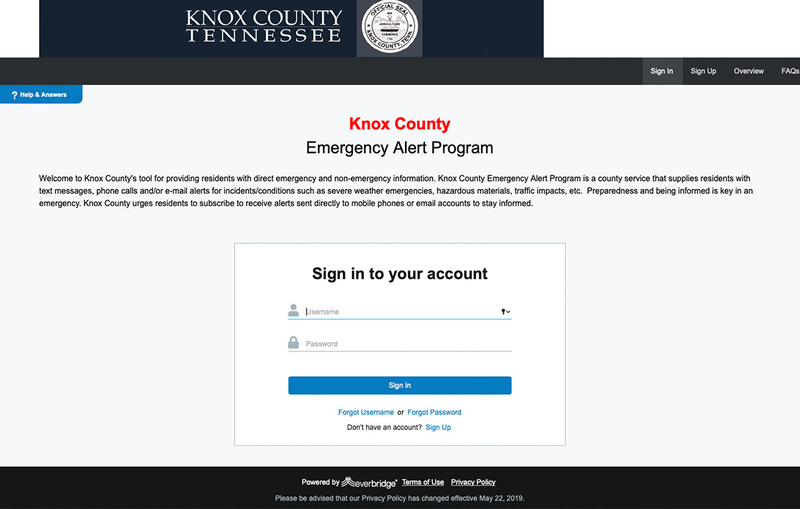 The Knox County Emergency Communications District will be responsible for sending warnings in emergency situations, which include but are not limited to severe weather, natural disasters, hazmat, etc. To register for the emergency warning service, please click the button below. Anyone who does not have internet access can sign up over the phone by calling 311 or 215-4311.